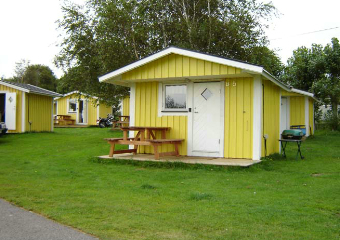 Treat yourself and the family to a really pleasant and varied camping holiday on the billowy Kattegatt. 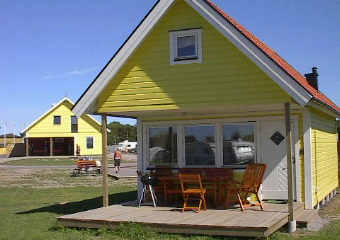 The campsite is situated 3 km from the centre of Falkenberg, a stone's throw from the sea. The beautiful soft sand on the mile-long beach and the cooling salt water entice you to take a dip either early in the morning or in the evening. 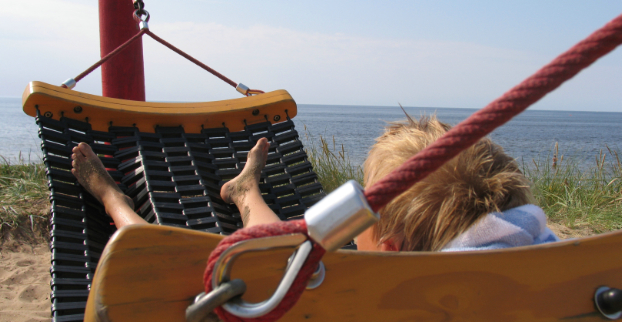 The beach is also very child-friendly and is one of the few beaches in Sweden that have the "blue flag" environmental certificate, which guarantees high water quality and maximum safety. There is a wide range of outdoor activities in the summer. Salmon fishing in the River Ätran or a round of golf at one of the many golf courses close by or why not visit Sweden's largest and cheapest department store in Ullared. Using the campsite as a base, there are lots of places to visit in the vicinity. Our youth hostel is close to the sea, yet central. Nice big garden and child-friendly pool. 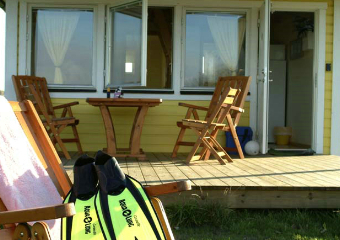 We offer cosy and well-equipped cottages for small or larger groups, for a couple of nights or by the week, within walking distance of one of the nicest beaches in Sweden. There is something to suit everyone among our four cottage types. Our self-catering cottages have a sleeping loft, TV, shower WC, etc. and are available for hire all the year round.